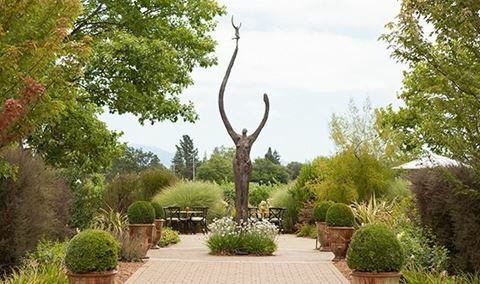 Take a look behind the scenes at Iron Horse and a tasting of five reserve wines – a selection of single vineyard still wines and limited production Sparkling Wines,only available at the winery. See how our special cuvees are produced and how labor intensive it is to make Sparkling Wine. 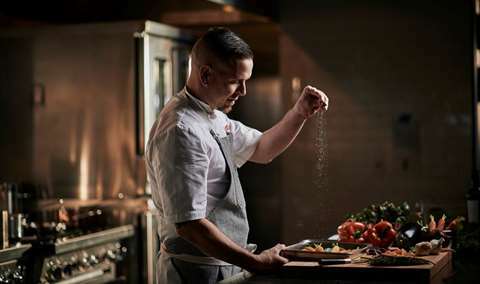 There’s a chance you’ll get to taste the bubblies before dosage is added (if we are disgorging that morning), and get a private viewing of our prestigious collection of White House Menus featuring Iron Horse. Approximately 1.5 Hours. Spending time in the vineyard and the winery with Iron Horse Winemaker David Munksgard is a truly memorable experience. David hosts a once a week private 'truck tour, which naturally starts with a glass of bubbly upon arrival. Approximately 1.5 Hours. 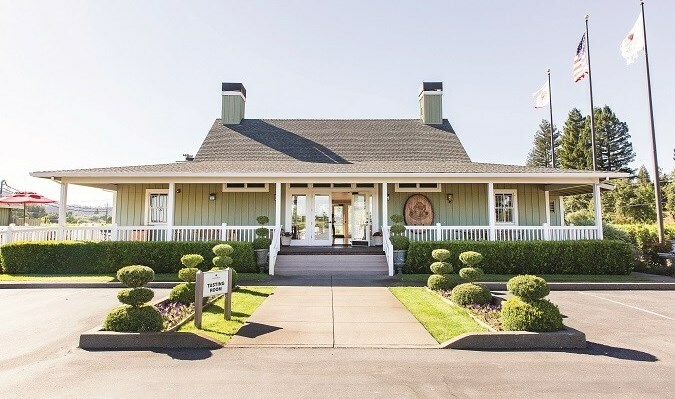 Whether you’re a first-time guest to Iron Horse Vineyards or one of our much loved, devoted friends and fans, we welcome you to join us at the winery. 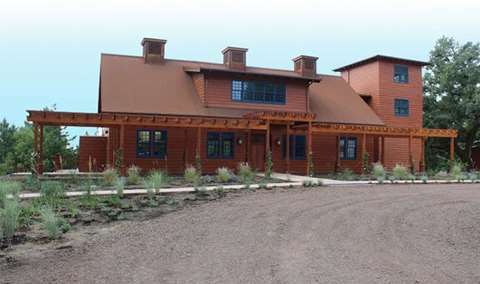 Enjoy the rustic elegance of Iron Horse with a spectacular view to Mt. 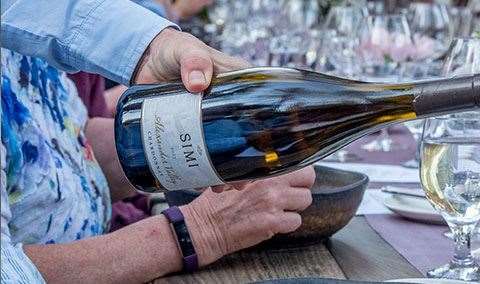 St. Helena for your choice of a Pinot Noir, Chardonnay or Bubbly flight – five wines each. All of our wines are estate grown and bottled. Many are small production wines available exclusively at the winery. All tastings are alfresco with the vineyards spilling out at your feet. Approximately 1 Hour. Introducing a new tasting experience at Iron Horse – a private, seated tasting for two to four guests. (Yes. You get to sit down!) at a “ringside” table, under the palms, facing our gorgeous view, where you can see the individual vineyard blocks while tasting the corresponding wines. Our Private Tasting includes tête de cuvee bubblies, like LD and Joy! older vintages of Chardonnay and Pinot Noir, rare gems we don’t pour in the Tasting Room, and a delicious cheese platter. Approximately 1.5 Hours. Iron Horse is one of the most beautiful vineyards in Sonoma County: a series of gentle rolling hills stitched together by rows of Chardonnay and Pinot Noir, blanketed by a misting of morning fog. Venture to the Tasting Room at the top of the hill. Iron Horse is one of the most beautiful vineyards in Sonoma County: a series of gentle rolling hills stitched together by rows of Chardonnay and Pinot Noir, blanketed by a misting of morning fog. Venture to the Tasting Room at the top of the hill. There’s often a rainbow when the sun breaches the mist. It’s hard not to feel optimistic when you see Iron Horse – the visual equivalent of opening a bottle of Sparkling Wine, which conveniently there are plenty to enjoy. The pillar of Iron Horse’s prestige is that their bubblies have been served at the White House for five consecutive Presidential Administrations, beginning with the Reagan-Gorbachev Summit meetings, ending the Cold War. 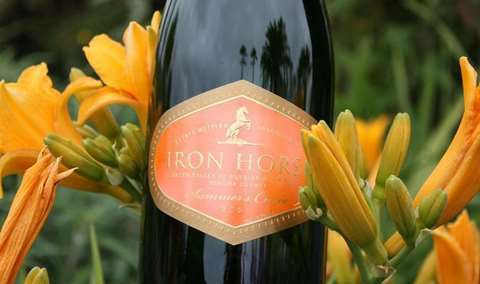 Few Sparklings outside Champagne have the depth of character achieved at Iron Horse. The logo, the rampant horse on a weather vane, came from a 19th century weathervane found while clearing away the rubble during construction. The first vintage of Estate Chardonnay was produced in 1978. 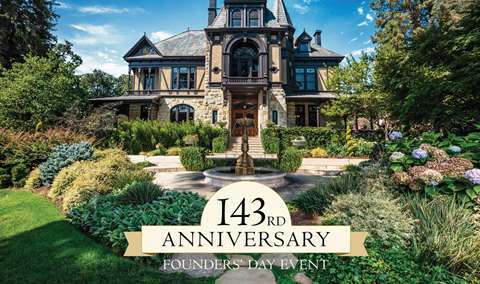 1979 marked the first vintage of Estate Pinot Noir and the official opening of the winery. The first Sparkling Wines were vintage 1980. Three generations live on the property ranging from 21 to 87 years old. Beautiful view, lovely outdoor bar, friendly staff. I joined the wine club - loved every sparkling wine that much..
Beautiful location, great bubbly and oysters and great service! Beautiful view accompanied by great wine. Arianna was a fantastic host. Iron Horse is a beautiful escape. The staff are always accommodating, knowledgeable, and friendly. Always greeted and welcomed, the most gorgeous view, fun stuff, friendly, great juice! 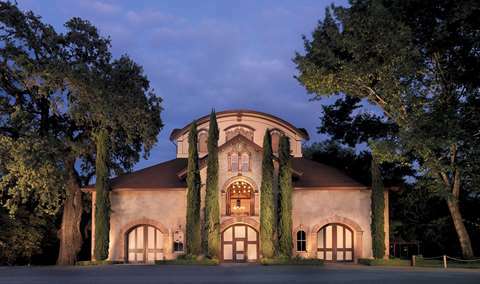 This winery is hard to get to but once you do you will be very happy with the wine and friendly service. Perfect picturesque scenery with the most perfect, relaxed yet sophisticated vibe. Homer helped us, and he was laid back yet attentive and very knowledgeable. He is very good at his job, welcoming, and friendly. The bubbles were absolutely amazing. I’m looking forward to the case waiting for me when I get home! Thanks! We didn't get the sunny day we'd hoped for, but it didn't matter. Heaters were all we needed for the outdoor tasting with a view. We enjoyed a bottle of Pinot Noir for our picnic in their gazebo. Wonderful day with friends. 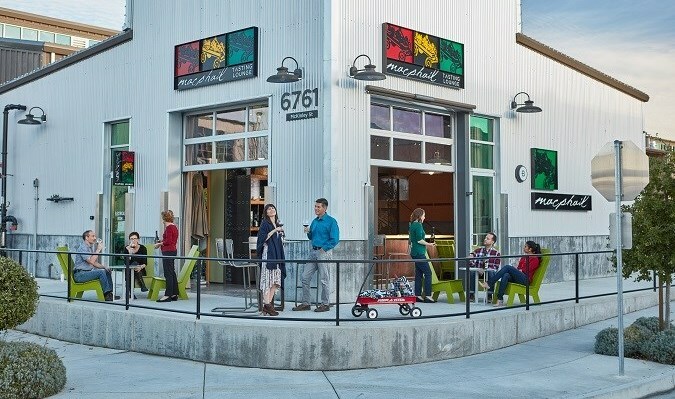 Awesome day at their outdoor tasting room. They treated us like family and the wines are great. Can’t wait to return. This is at least my 5th time visiting Iron Horse as I've a member since 2014. I thought it was strange that no one welcomed us back or thanked us for being members, even if it was a busy Sun. afternoon. Compared to other wineries I had visited over 7 days this fell flat. Our host lacked knowledge & senior members of the team were more interested in their phones. Sad it let us down. Hey IH-! It’s me John from Blue Star Wine Tours, again! Still love you and we’ll be back soon! Our time at Iron Horse was hospitable, fun, and felt small enough to actual enjoy the group we were with rather than getting lost in a big crowd. Facilities were clean, property was beautiful, and the employees were great. Iron Horse was a delight and we loved everything so much we joined the wine club! Finally, a sunny day!! wonderful bubbly with a real sweetheart - don't remember her name. She was warm, cheerful and engaging. My wife and I loved her! I even gave her some homework: a special song from the 1970's by one of my favorite R & B groups - Atlanta Rhythum Section. A song to definitely drink champagne by - Champagne Jam! Beautiful outdoor tasting area with a great view. Although no dogs allowed, I think because of the local cats. 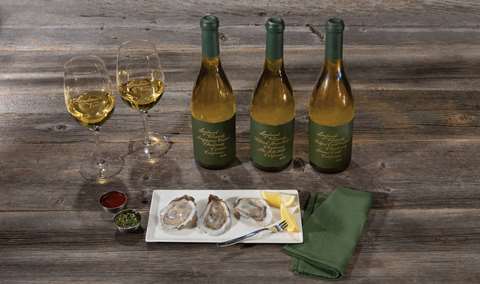 Delicious wines and a fun experience with friends or for a romantic date. The staff are kind and knowledgeable. No pressure to purchase but you’ll want to take home some sparkling wine. Their wines also make great gifts. We're wine club members at Iron Horse and every visit is a special one. Not only is the "Sparkling Wine" great, the ambiance and the hospitality always keep us coming back!! Staff is very knowledgeable and all have a fun sense of humor. We're very happy recommending to friends and colleagues!!! The wine should be allowed to speak for itself... the ambiance of the "tasting bar", including the "louder than it should have been rock music", was a turn off. Perhaps a more appropriate tasting ROOM should be considered but, I have a feeling, the way you all do things is the way you like it. The wines were good; the atmosphere left something to be desired. We called with short notice and they were very accommodating to get us in for a tasting, the view was stunning and the wine was even better! We would definitely recommend and plan to come back in the future. Really enjoyed the place with my husband. The road was a little flooded upon entry, but was a beautiful view once we arrived. I didn’t feel like it was a place to order a glass/bottle and sit around to enjoy the space - it was a stand at the bar and leave. The champagne was amazing and I will definitely be back. Super nice tasting room associate with great view and excellent wine! The wines are outstanding. The views are breathtaking. And the the people are the perfect combination of knowledgeable, professional, personable, and fun. Always a pleasure to be there. My guests thoroughly enjoyed all your wines and those who don’t do sparkly loved your pinots. See you later! We set up a tasting and picnic in the gazebo to celebrate my son’s birthday. The initial setup was made face-to-face and the woman I worked with was wonderful. It turned out that she was also our Iron Horse team member who conducted our tasting - also a wonderful experience. Lisa checked us in and assisted in our set up. All of it worked out so well as we were a fairly large group. This winery is amazing and the bubble flight is stellar! If you get the chance to chat with Homer and learn from his vast knowledge of wine styles and regions, do it! We went to 13 wineries while in Sonoma and we learned the most from our conversation with Homer at Iron Horse. Highly, highly recommend!! Very nice tour and tasting. Would definitely recommend. Tasting room is outdoors and has an awesome view. I joined the wine club and bought half a case. It was fun, delicious and the people were great. really loved it. looking forward to coming back for a more in-depth experience. great hosts. great conversation with other wine tasters not in my party. really beautiful. Beautiful views. We would have appreciated stools at the tasting bar to sit on rather than standing. We felt a little rushed, like they were keeping us to their schedule... which they were. While I understand this, you should be ready for that type of tasting. I don’t understand why this winery has such good ratings! Driving up to the property is beautiful and it has wonderful views. That is where the enjoyment stops. The tasting area is in a parking lot it’s set up with a frat house, party feel. We did the sparkiing wine tasting and ended up pouring out each of the wines. The service was friendly but the wines were not at all what we were expecting. 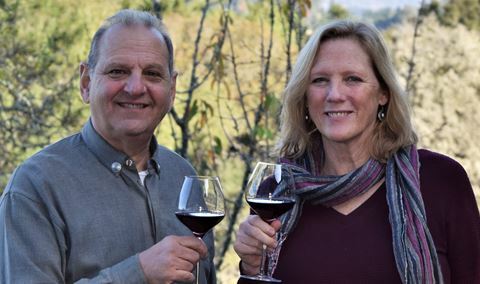 We fell in love with Iron Horse the first time we visited— became wine club members and look forward to all of our visits. It is a special place where you feel comfortable and welcomed! Cheers!! We had an amazing time with Carlo! He was warm and welcoming, and very enjoyable to spend time with. We were lucky to squeeze in a reservation! Each time we visit, we are reminded why we are members! Lovely tasting with Kevin. He was friendly, knowledgeable and funny. We really enjoyed out tasting outside with the gorgeous views. The tasting staff were amazing. 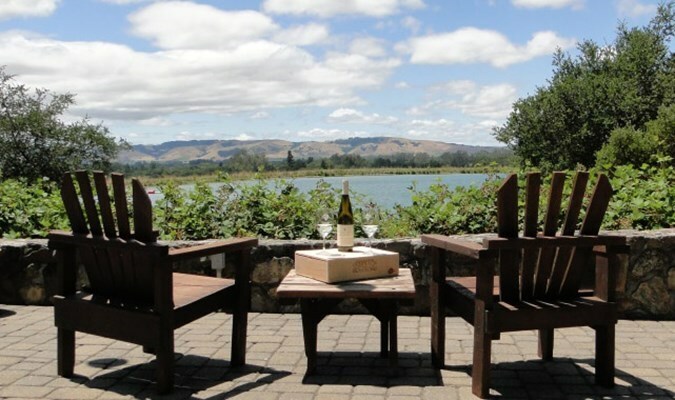 The outdoor tasting area and the view is always spectacular.